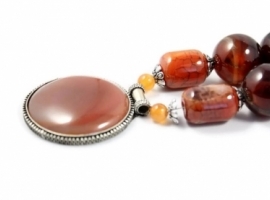 Yolanda Pang of Poetic Designs creates gorgeous jewelry for iCraft, often recycling old world inspired items with them. 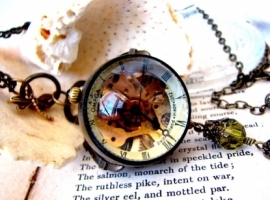 Her work’s nostalgic, antique feel will transport you back in time when you wear it. Yolanda describes her fascinating process and inspiration in this interview for iCraft. Reshma Sandell of AhKriti draws inspiration from India, where she was born and raised, to create beautiful handmade jewelry for iCraft. Her work’s rich colours and unique designs can complement any outfit. 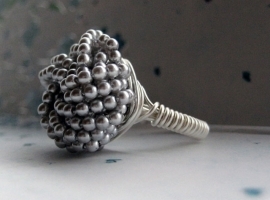 Reshma candidly describes her journey to becoming a jeweler and her creative process. If you’ve been hit by a cold winter snap, you may not feel very fabulous. It’s time to brighten up your dull days of winter with unique handmade jewelry from iCraft in fun designs that can help pull any girl out of the winter blues. Wear them together or separate, for formal or informal occasions.